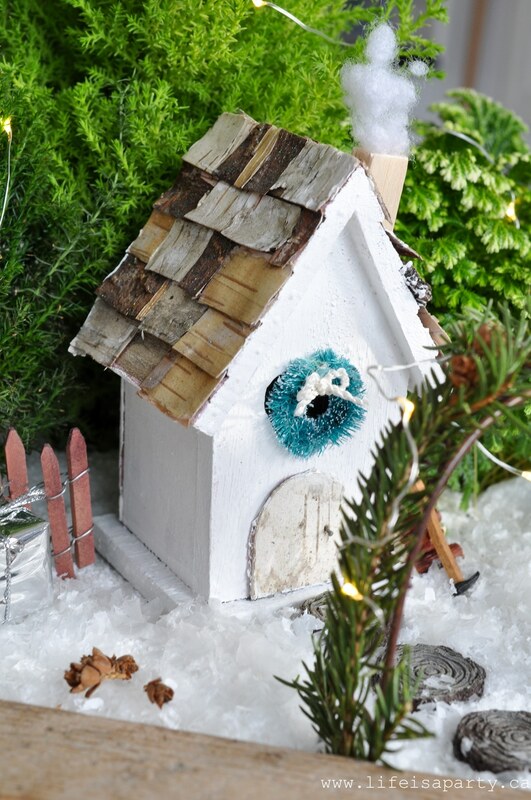 I love fairy gardens, and always thought it would be fun to make a Christmas one. 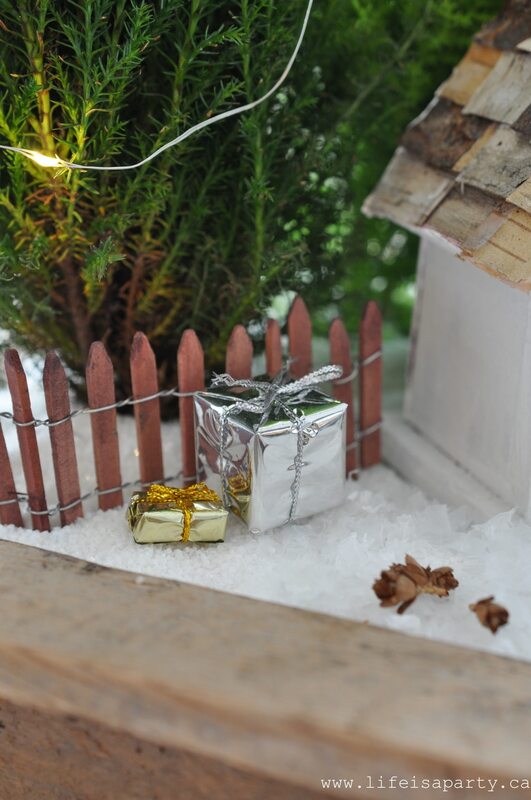 This sweet little fairy home is all decked out for the holidays, complete with real plants. 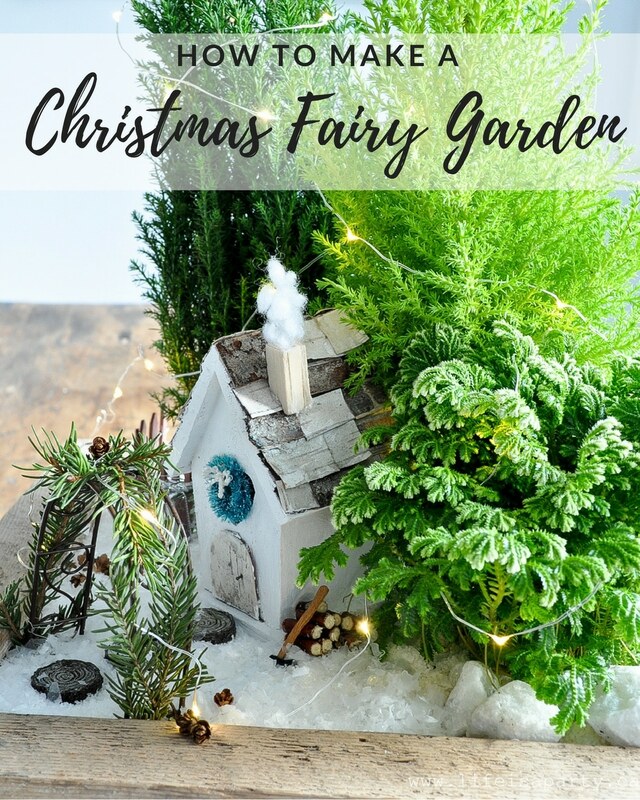 Today I’m sharing how to make a Christmas Fairy Minature Garden. I’ve made lots of fairy gardens in the past -little container gardens for the summer. Check out some of my other fairy gardens here. So this year I thought it would be really great to make an indoor winter version. I love the little cypress trees that you see this time of year, and they really are the perfect fairy Christmas trees. I started with a great container. 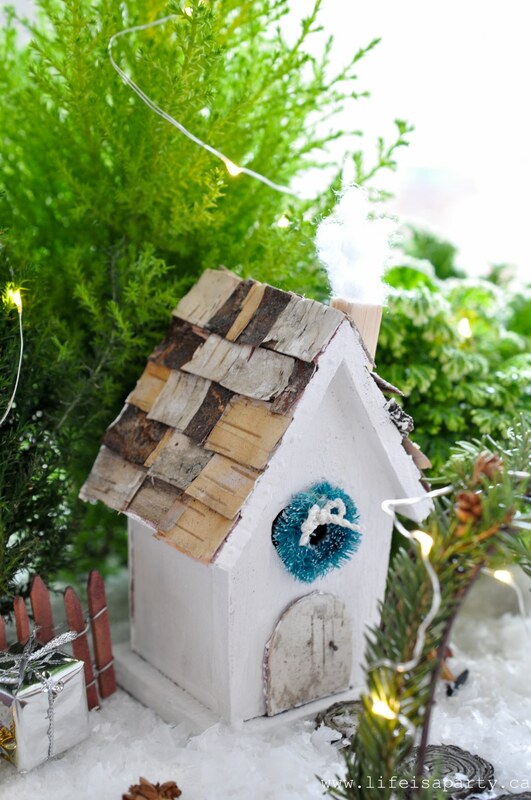 This one is made from old lath, and the perfect spot for our fairy home. Since I’m using it indoors, I was sure to line it with a plastic bag first to ensure that the water didn’t damage my table when I water it. Remember though when you’re looking after a garden like this though that there is no drainage, so don’t over water it. 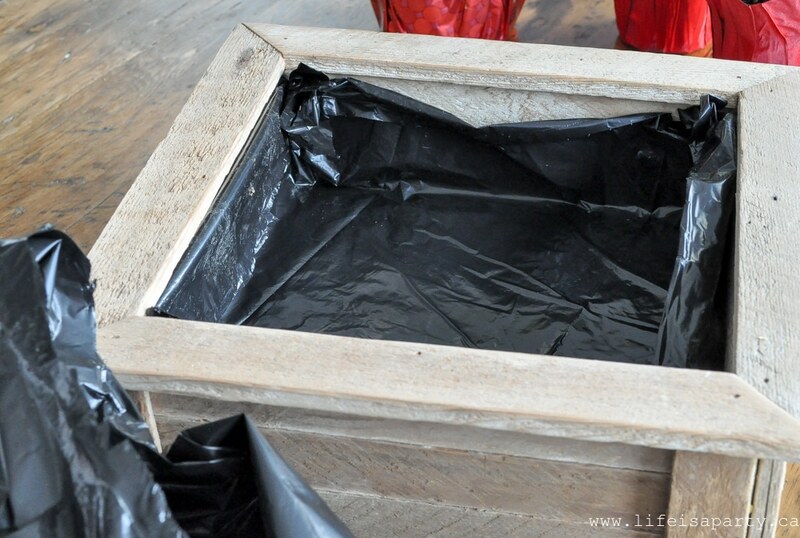 Next I filled the container with soil and added in my plants. 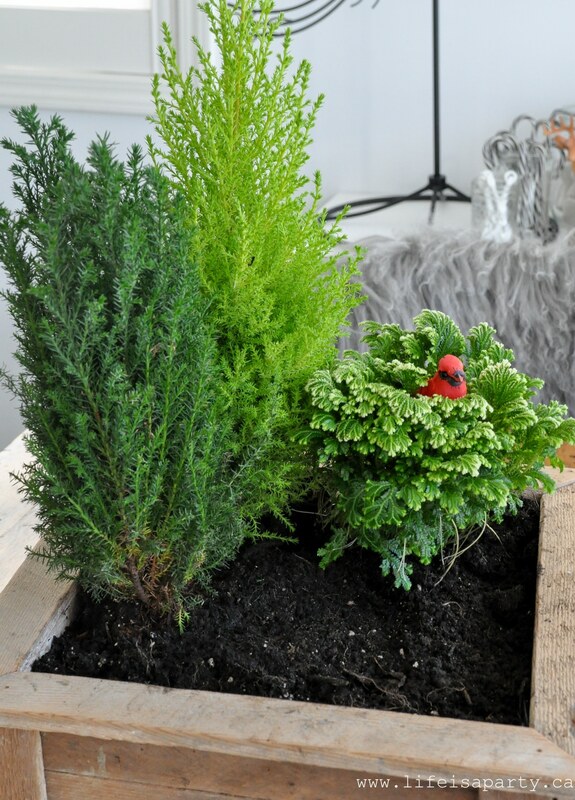 I chose a cypress tree, a lemon cypress tree, and a frosty fern. I thought the cypress trees looked like little fairy size Christmas trees, and the frosty fern looked like a frost covered fern in the forest. I would try to choose plants that look winter-y. 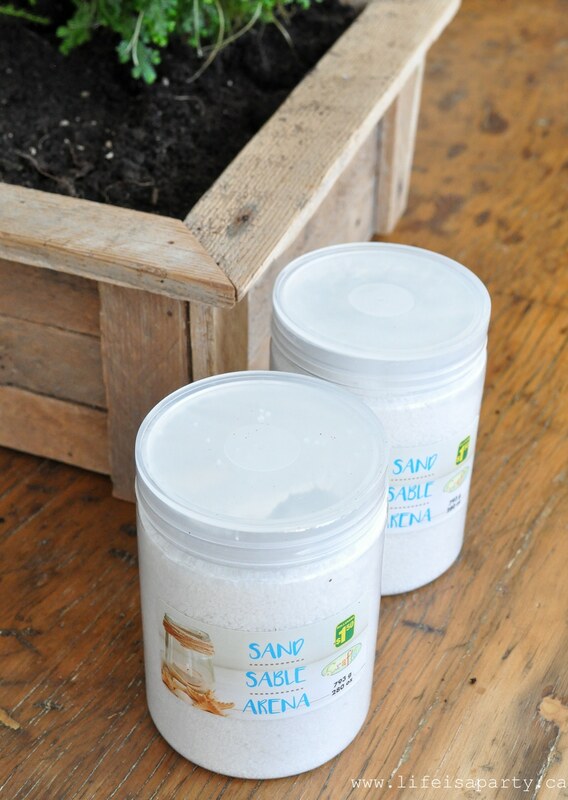 Once the plants were in, I covered the soil in white sand. I didn’t really want to use deep faux snow, since I didn’t think it would be that good for the plants. The sand was the perfect solution. I did also sprinkle a little faux snow over top of the sand, but this way I only needed a little. Next it was time for the fun part -adding the fairy details. I started out with the house. 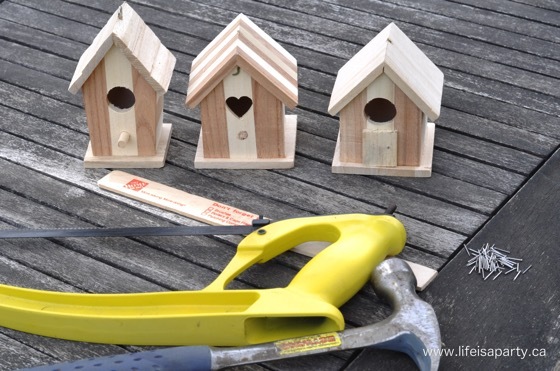 I’ve made several fairy houses in the past, with a mini wooden bird house for the base. 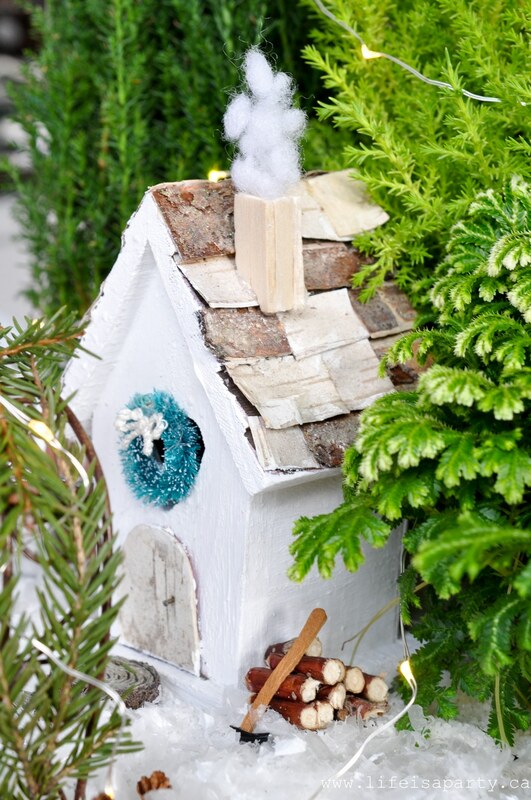 To make the bird house into a fairy house, I cut off the bird perch, and created a little fairy door. I usually use a piece of a paint stick, but for this one I used a little birch bark. The house was painted white, with a birch bark door, and roof. For the roof I created shingles with birch bark rectangles and used hot glue to attach them. I gave the roof a coat of mod podge to help protect it too. The chimney is made out of some very thin wood from the craft store that I just cut with scissors and hot glued into place. I love my little cotton batten smoke. Can’t you just picture the fairies snuggled up inside beside the fire? I also added a tiny little wreath to the window. Once the house was in, I created a little garden scene around it. I used a little garden arch, and added real greens to it with a little wire. Once the greens were on I added some little fairy lights, and then wound the rest of the light string around the plants. I used some little fairy stepping stones to create a path to the front door. 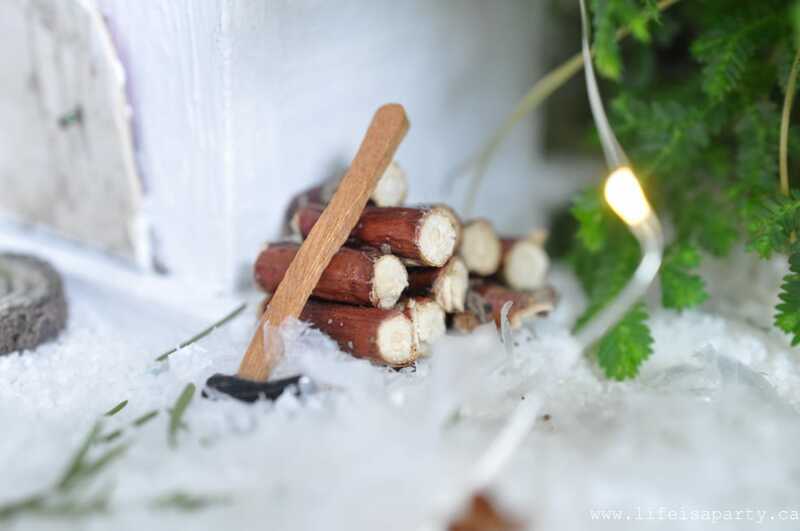 And then I used a little axe and some twigs cut with garden clippers to create the perfect little fairy wood pile. Over on the other side of the house, I added in a little fence and some presents. 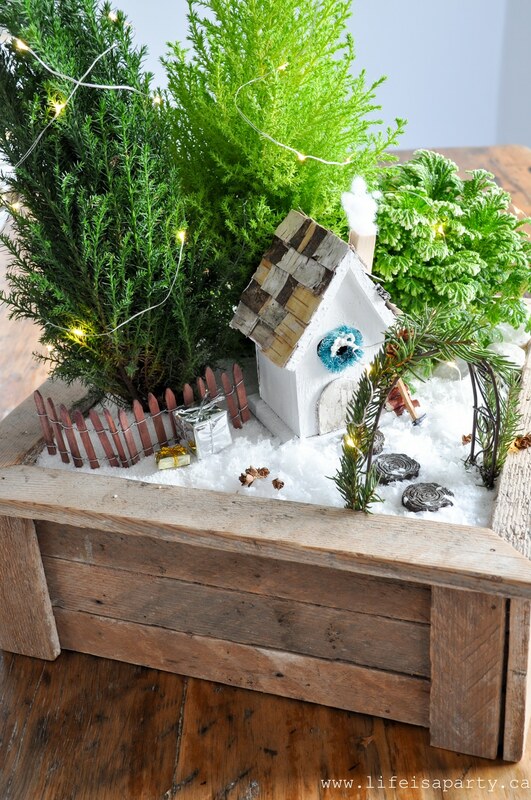 With a Christmas Fairy Garden, life really is a party! 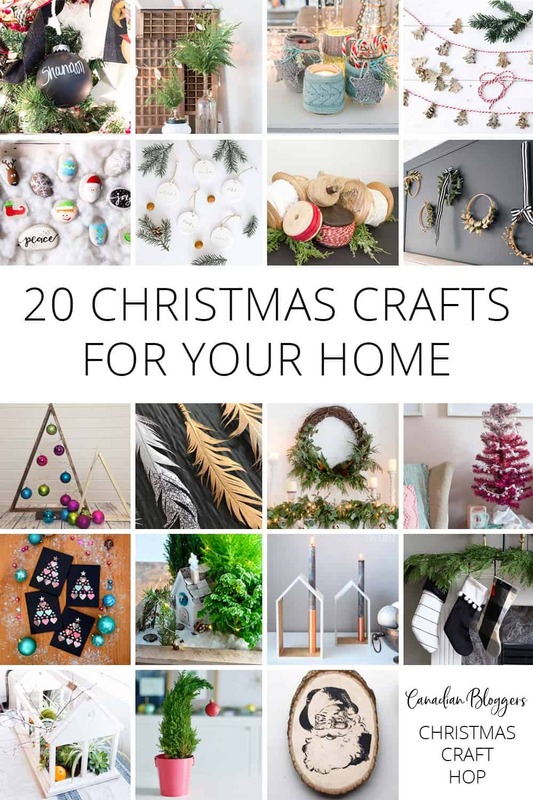 And now it’s time for some more Christmas craft inspiration from 20 other Canadian Bloggers! With special thanks to Shannon form Aka Design for putting this all together. This post contains affiliate links, where you can find similar products to the ones I used and purchase them at no extra cost to you. Thanks for supporting Life is a Party. Cutest idea everrrrr! 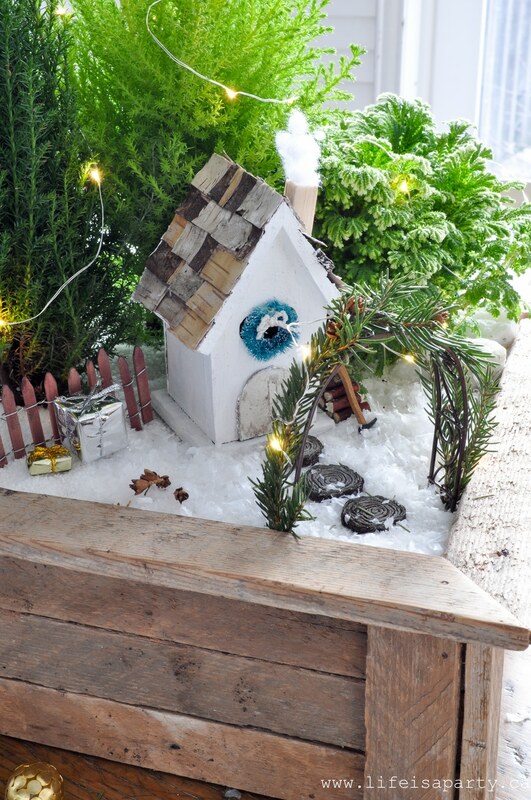 I absolutely love fairy gardens…I have no idea how I haven’t made one yet!! I love fairy gardens! Why haven’t I thought of a Christmas one! This is lovely! Okay, so this is the cutest idea for Christmas! I’ve always loved how fairy gardens looked, but have never attempted them myself. Somehow I feel like I’ll mess them up, but your tutorial makes it look easy! I always love your little fairy gardens. Super cute! The little details make me all heart eyes, this is so cute! I’ve already told you I adore that wood pile with the axe, the puff of smoke coming out of the chimney! I also love that wreath on the front, all of it is so so cute, I can just imagine a tiny little fairy family cozy inside. Thanks Laurie, at night when I turn the twinkle lights in my girls have been joking that the fairies are home! So fun. This is just the sweetest project! I’m such a sucker for miniature details, I can stare at them forever! Great job! Adorable! 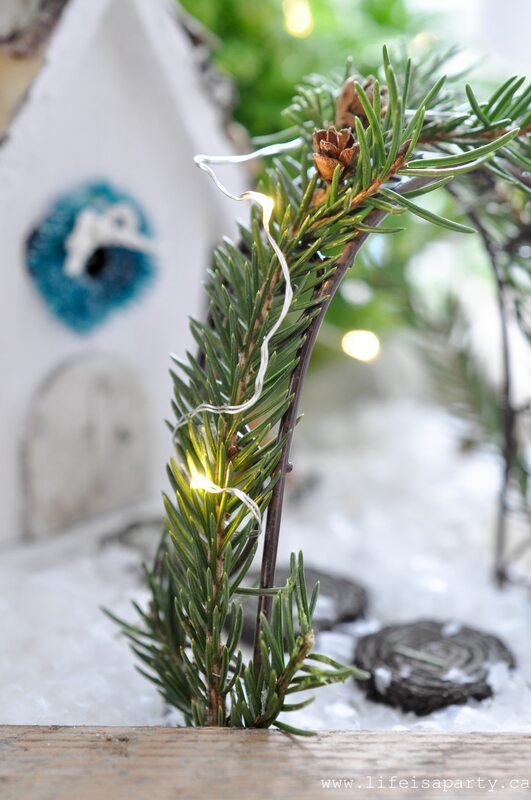 Such a great idea for a holiday craft.